The Longleaf Alliance, an organization whose main purpose is restoring longleaf pine to its historic range, will hold its 11th Biennial Conference Nov. 1-4 in Savannah, Ga. Formed in 1995 by two foresters–Dean Gjerstad and Georgetown native Rhett Johnson–the Alliance is a diverse, grassroots organization made up of private landowners, conservation groups, and governmental organizations. The Alliance has been monumentally successful in restoring longleaf pine forests, woodlands and savannas in the tree's historic range, from Virginia to Texas. Longleaf pine once dominated 60-90 million acres of the Southeast, including much of South Carolina. It was the most extensive forest ecosystem in North America dominated by a single tree species. By 1995, however, because of fire suppression, unsustainable harvesting, conversion to other forest types, and development, only about 3 million acres remained. "The Longleaf Alliance quickly reversed this alarming decline," said Johnny Stowe, S.C. Department of Natural Resources (DNR) forester and wildlife biologist. "Its members and partners have led the way in restoring longleaf to the Southern landscape, planting and restoring millions of acres of longleaf and making folks aware of the unparalleled economic, ecological and cultural values of this quintessentially Southern tree. Thousands of people across the Southland are now taking regional pride in the many wonders of longleaf pine forests, and people from all over the world are learning the longleaf story, and coming to South Carolina to roam the longleaf pine firelands." 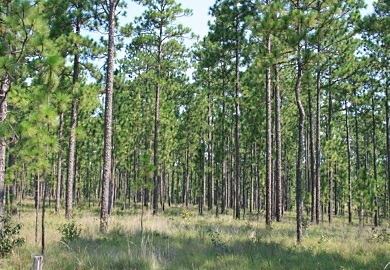 Longleaf provides high quality lumber, can grow on a wide-range of sites, including dry, nutrient-deficient sands, and is relatively resistant to windstorms, insects and diseases that can plague other pines. These traits, as well as its fire tolerance, make longleaf a resilient and productive investment for landowners. Longleaf ecosystems, when frequently burned, are among the most biodiverse and beautiful landscapes in North America. South Carolina's once famous quail hunting was in large part centered on the widespread, multicultural heritage of burning the longleaf pineywoods. Fire suppression was one of the major factors in the decline of quail. According to Billy Dukes, DNR Wildlife Section chief and member of the S.C. Quail Council, "The restoration of longleaf pine and its associated diverse understory has great potential to boost quail populations throughout the range of longleaf in South Carolina. Prescribed fire is absolutely critical in the establishment and maintenance of the groundcover necessary to increase and sustain quail on the landscape. The DNR and S.C. Quail Council enthusiastically support prescribed fire as a crucial tool to restore and maintain quail habitat." The Longleaf Alliance is at the forefront of prescribed fire science, outreach and advocacy--conducting practical research, holding workshops and academies, and providing publications and advice of how to safely get more fire onto the longleaf landscape. The DNR will assist with one of the conference's field trips, which will be held in the South Carolina Lowcountry. For more information on the conference, or on longleaf pine and prescribed fire, visit http://www.longleafalliance.org/.